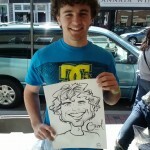 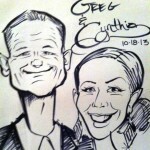 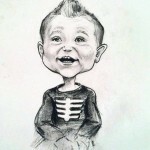 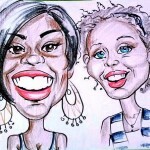 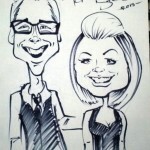 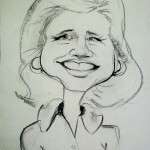 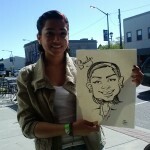 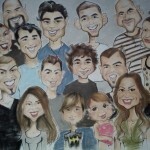 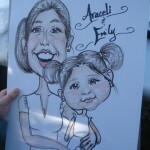 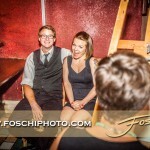 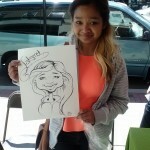 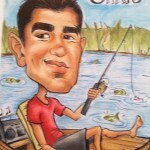 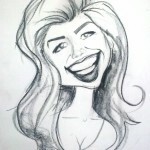 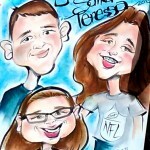 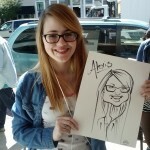 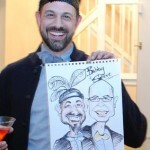 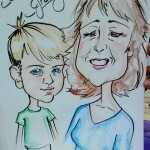 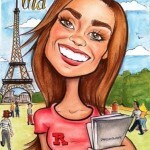 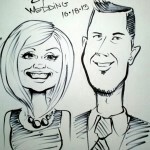 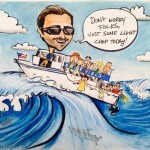 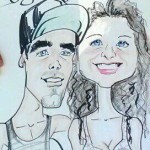 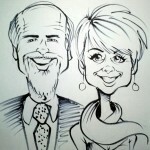 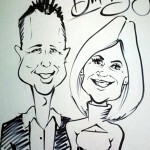 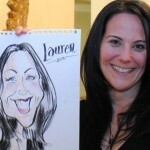 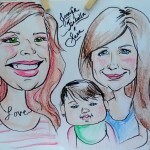 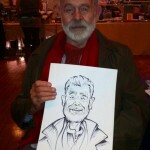 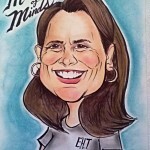 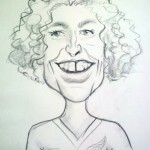 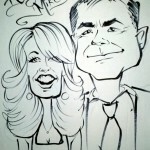 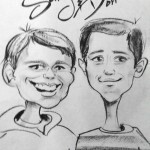 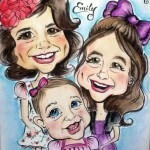 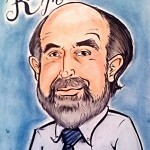 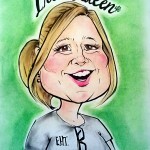 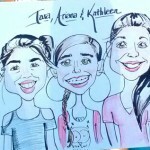 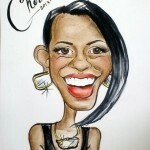 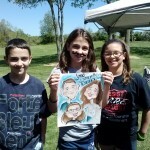 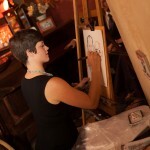 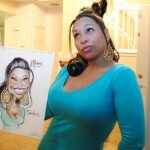 Caricatures are done on 11×14 sketch paper and take approximate 5 min/ person in black and white. 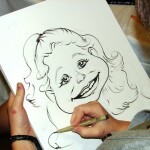 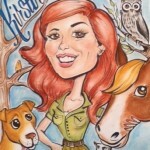 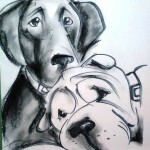 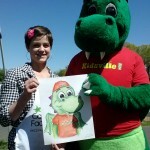 Color is available and adds a few minutes per each drawing. 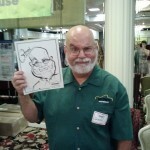 Pre-printed logo to reflect your event is available on 8.5×11 paper for an additional cost, ask for more info. 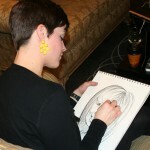 Plastic sleeve included with drawing.